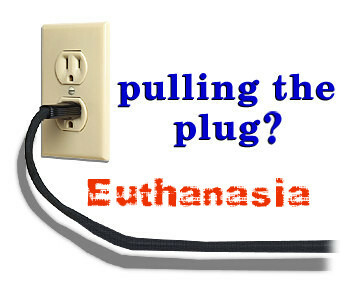 SeniorsAloud: WOULD YOU PULL THE PLUG WHEN THE TIME COMES? There is a fine line between mercy killing and murder. When a man helps his terminally-ill spouse end her life as she could no longer endure all the pain and suffering, is he an accomplice to a suicide or is he a murderer? Or neither? To the police of Palm Springs, CA, it was a crime punishable by law. On July 2, 2012, they arrested Bill Bentinck, 87, on suspicion of murdering his wife, Lynda, 77. He had disconnected her oxygen supply at her instructions. She had been suffering from emphysema, and had found the pain increasingly unbearable. Fortunately for Bill and his family, after spending three days in jail, he was released due to 'lack of evidence' against him. Compassionate killing or euthanasia is still considered a crime in most countries. In 2002, the Netherlands became the first country to recognize euthanasia. Although more countries have since followed suit, including Japan and Columbia, the number remains small. Oregon is the only state in the US where physician-assisted euthanasia is legal. In Australia, it is legal only in the Northern Territory. Life is precious, and we all want to hold on to it as long as we can. But does being kept alive with machines and endless medication constitute life as we know it? 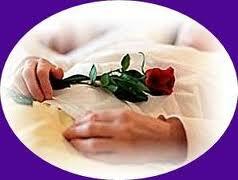 Would it matter to the patient who is already in a vegetative state with no hope of ever regaining consciousness? Is there quality of life at all? Who has the right, the final say, to pull the plug? The patient? His doctor? His family? While the decision is pending, the medical bills are escalating. Read this excellent BBC article on the ethical issues involved. Medical expenses incurred to keep a loved one on life support can cause financial ruin to the family. In a welfare state, the government can ill afford to sustain the growing number of the terminally-ill for an indefinite period of time. It is sad, it is tragic but that is the harsh reality of life, and death. All of us pray for a disease-free old age. And when the time comes for us to go, we want to go quietly and peacefully in our sleep. But God decides when and how we should exit this life. If our final days are filled with pain , and there seems no respite from it, would we have the courage to say "Turn off the oxygen supply", or "Do not resuscitate"? My dear friends' mom had what I call 'the perfect final goodbye'. Friends and family members from near and far (overseas) had come together to celebrate the wedding of Auntie's grandson. At the wedding dinner Auntie was a picture of joy, laughing and chatting with everyone, obviously delighted that all her loved ones were around her that night. I remember saying good night to her as I passed her table on the way out after the dinner. She was all smiles, and looking radiant. The next day 13 May 2012, she passed away peacefully in the afternoon while taking a rest. She was 87. I remember too seeing another auntie, one of my mom's closest friends, groaning in pain as she struggled to breathe, her body ravaged by terminal cancer. It was a sight that remains etched in my mind. That was in the 1970s. Life is precious. Value it. It's good that you bring up this topic. This will go a long way to lifting the taboo on such a subject. Dying should be as natural as living. Perhaps even the natives of some African states are one up in this. They sing and dance at funerals, not weep! When one was young, one would like to think that one is indestructible. But soon the time will come when mortality stares us in our faces. And closure is foremost in our minds. I have always wonder how those who are poor and destitute handle such matters. Like the many homeless people out there in the streets of KL. Because one day, perhaps in the not too distant future, senility and incapacity will stare them in the eye. Even for those with family and kin, it can still be a problem. For everyone nowadays is busy trying to make ends meet. And the practicality of having to see doctors regularly, even for those who have money is a drag on other family members even if they can help. For those who are staying alone and are not financial well of or those who are sleeping in the streets, the situation is really hopeless. R L Stevenson set the tone with his poem Requiem, where he said, "Glad did I live and gladly die". He knew that he was dying and he psyched himself for it. When treatment is not only expensive but also brings with it very little benefit to improve the quality of life of someone seriously ill, then taking things in one's own hands to bring about a closure is right and proper.